What is DNSe+ in Samsung TV? Digital Natural Sound Engine in Samsung TV is a sound enhancement system that combines different equalizer settings and signal processing to create user centric presets to suit the most common listening scenarios. 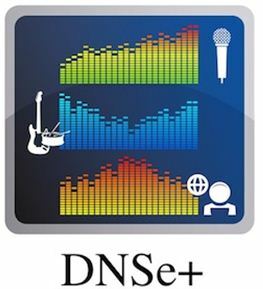 The aim of DNSe+ is to deliver the best sonic experience to the end user. The sound engine yields higher quality sound with more natural effects than conventional methods by reproducing the 'genuine' stereo sound. ● It offers realistic stereo and deep bass sounds. ● It enhances the sound quality by using different equalizer settings and signal processing. ● The system uses several basic processing methods aiming at various imperfections of the sound produced by portable players. What is SRS TruSurround HD in Samsung TV's? How to Clear Viewing History in Samsung F Series SMART TV?